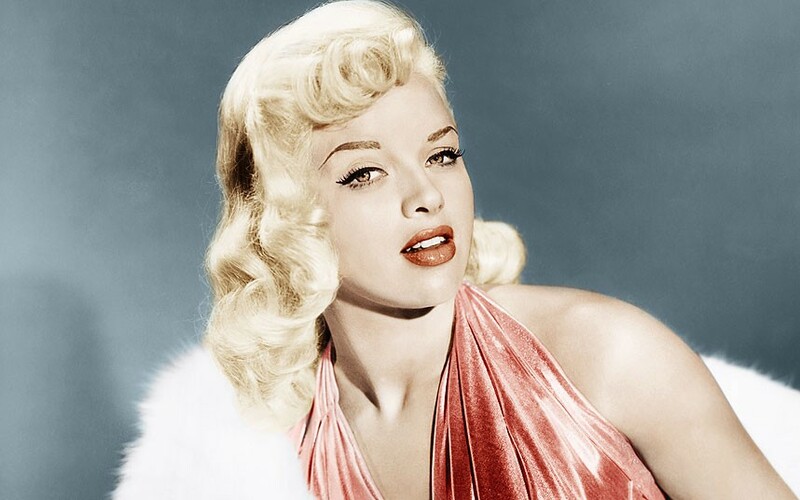 Eat My Shorts: Who Was Diana Dors? Many people won’t know her but she was often considered to be the British Marilyn Monroe. Here’s a fan produced website. This short documentary is in three short parts — subsequent parts available as you finish each one. Her first American film was made in Napa in 1957.
Who Stole Diana’s Millions? Is a 50-minute overview and exploration of her career. Diana’s hit comedy TV series was the Queenie’s Castle. Here Queenie (Diana) is fascinating about what she would do if she were rich, and has an idea of what Mrs. Petty (Lynne Perrie) would play. Diana got rave reviews for her last film, Joseph Losey’s Steaming. There are dozens of films, clips, songs and TV shows online. This entry was posted in Films, Films: Shorts and tagged blonde bombshell, Diana Dors, Eat My Shorts. Bookmark the permalink.